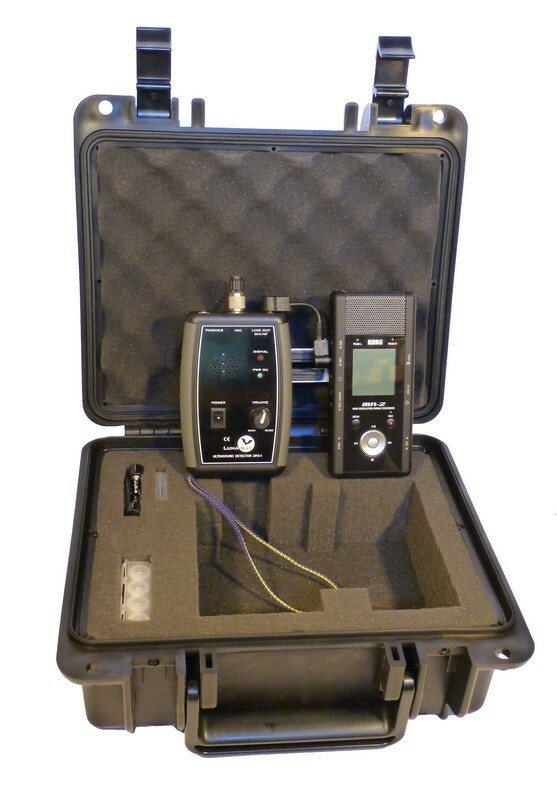 Easy-to-use, small and lightweight ultrasonic broadband detector with frequency-division detection with original amplitude retention function. 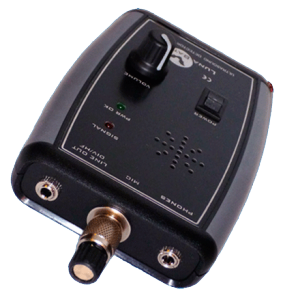 It allows listening and recording (on an external recorder) the entire ultrasonic range from about 15kHz to over 140kHz, so there is no need for frequency tunning (e.g. heterodyne-type detectors), or manual/automatic starting of recording (e.g. Time-Expansion-type detectors). 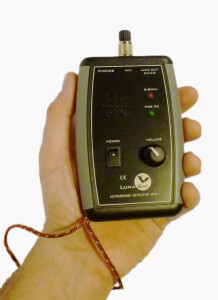 the ME-3 or ME-4 microphone. 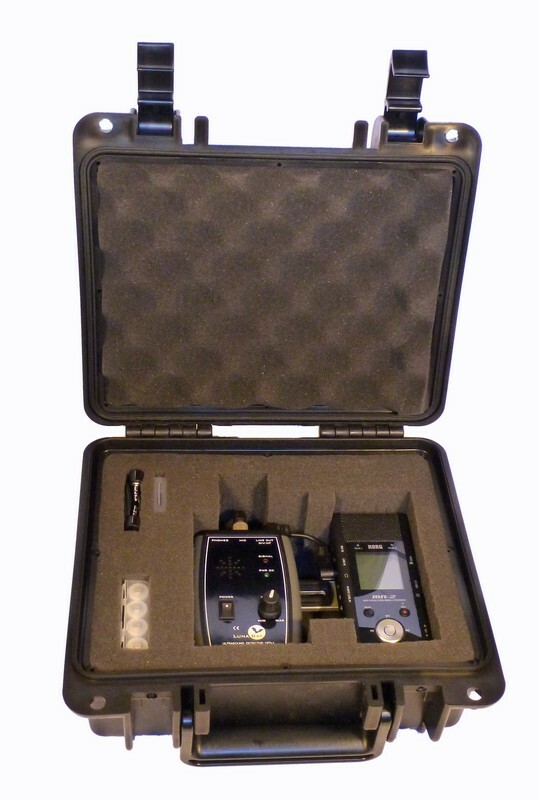 Thanks to high reliability and simple use, the detectors work steadily for several years! 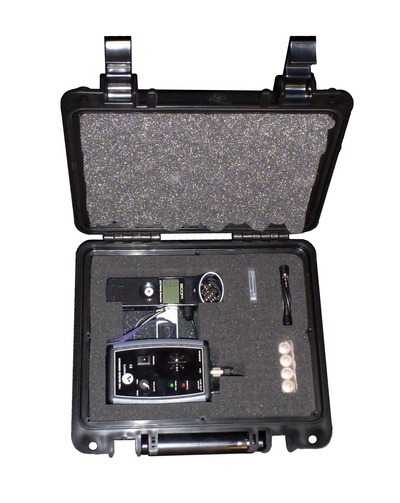 In case of need to use the usual AA / R-6 cells (primary or rechargeable batteries) with detectors powered by a 9V battery or 8.4V Ni-MH accumulators – these detectors can be equipped with an internal high efficiency and low noise DC-DC converter. Also the voltage level for LED “POWER OK” indicator is changed, corresponding to the level of safe rechargeable battery discharge (1.0V / cell). Since the beginning of 2012 year the DC-DC converter is a standard feature in all LunaBat detectors sold in bioacoustic monitoring kits Luna-MINI-2 and Luna-BASIC–2. Now also in Luna-MINI-3 and Luna-MINI-4 kits. 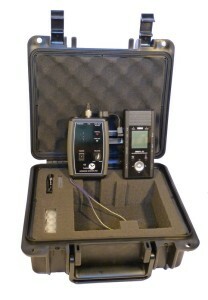 NOTE: Detector on the photo does not have a wrist strap/handle mounted on the enclosure – the handle is fitted as standard in the lower left corner of the enclosure (on request can be mounted in the lower right corner). The additional 2GB microSD memory card (not shown in the picture) comes with a number of useful programs for processing and analyzing recordings. You can also find the programs in the Download tab (in the main bar at the top of the page). 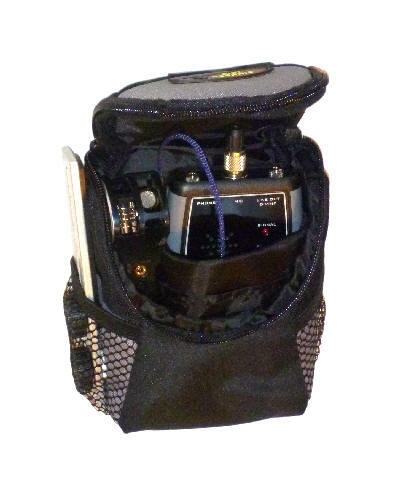 Compared to the previous Luna-MINI-2 kit, the kit includes a newer ME-4 ultrasonic microphone and an enlarged and stiffer ET-4 pouch/case that allows storage and transport of the detector connected to the recorder without disconnecting the mechanical and electrical connection. 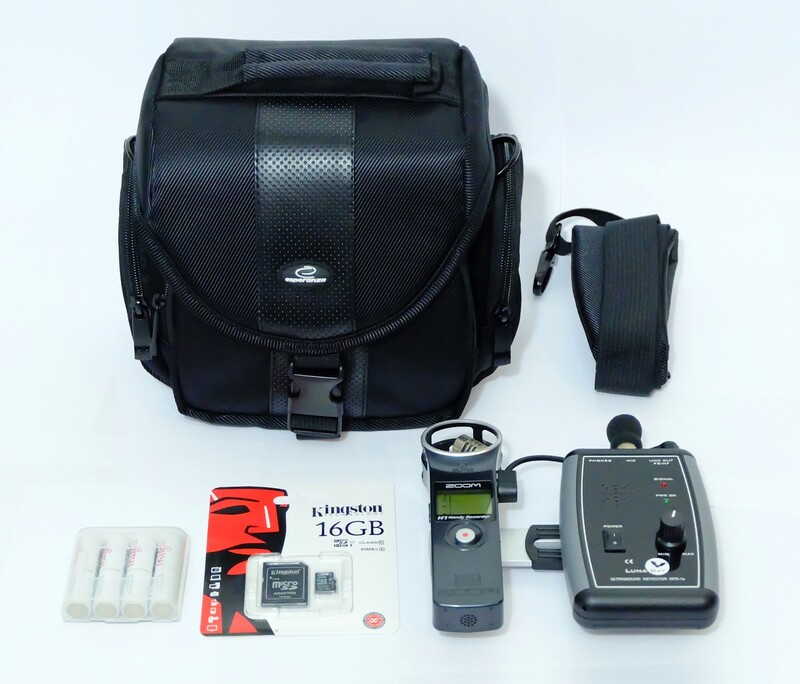 The kit can be supplied with one of the two recorders: Zoom H1 v2 (as LUNA MINI 3, SKU#205) or with Tascam DR-05 v2 (as LUNA MINI 4, SKU#206). 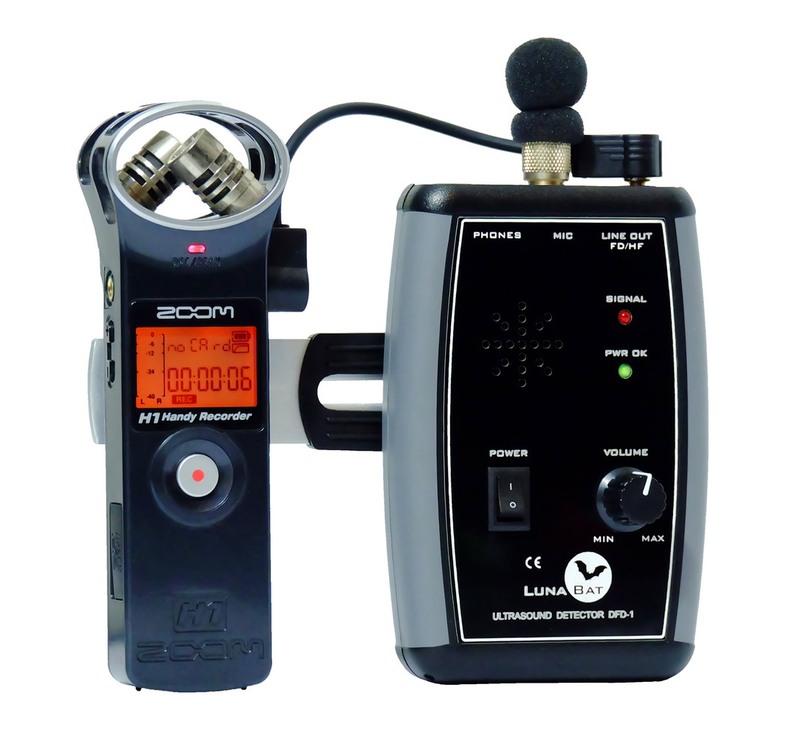 Descriptions of both recorders are available on separate pages: Zoom H1 and Tascam DR-05 (click on the names). 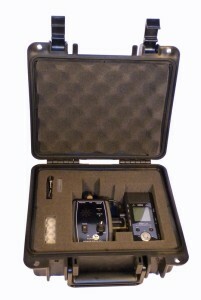 The kit can be modified after consultation (please contact). – modification of internal HF-signal preamplifier optimized for frequency response and reduced sensitivity of the input of Korg MR-2 recorders. Programs for processing and analysis of recordings made on external digital recorders can be found in the Download section (tab in the menu at the top of the page) in the Programs tab. 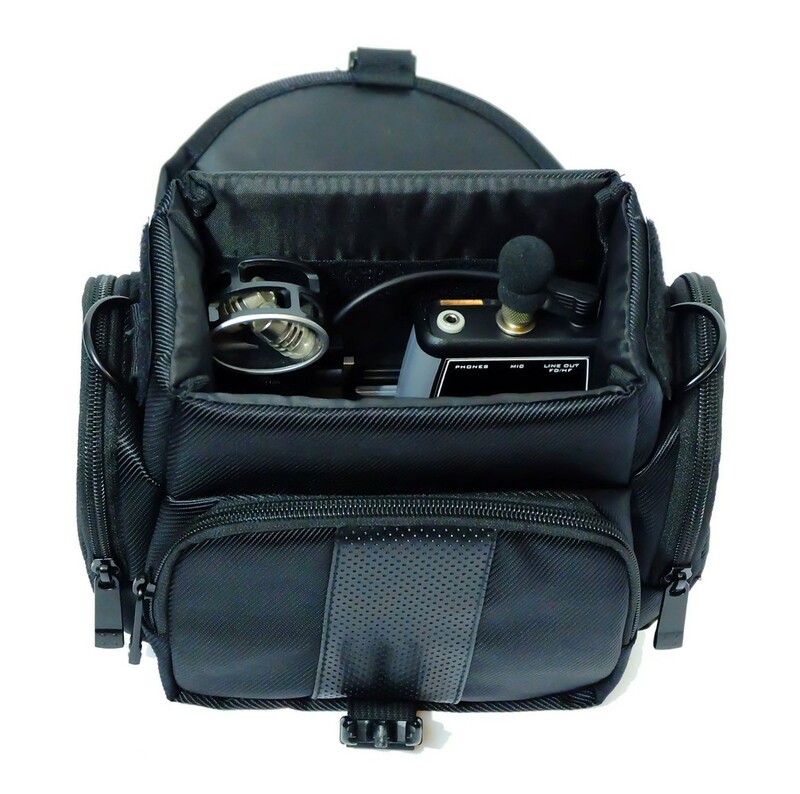 Prices with ME-3 microphone, other accessories and kits are in ACCESSORIES and KITS tabs, prices are HERE.